We were talking with the New York fashion community about postponing New York Fashion Week for a few days while we ran Disrupt, but they just wouldn’t listen. What’s more, Sergey Brin and Google sent a bunch of Google Glass devices to Diane von Furstenberg (a famous designer) who outfitted her gamine charges with some of the most sought-after tech in the nerdosphere. 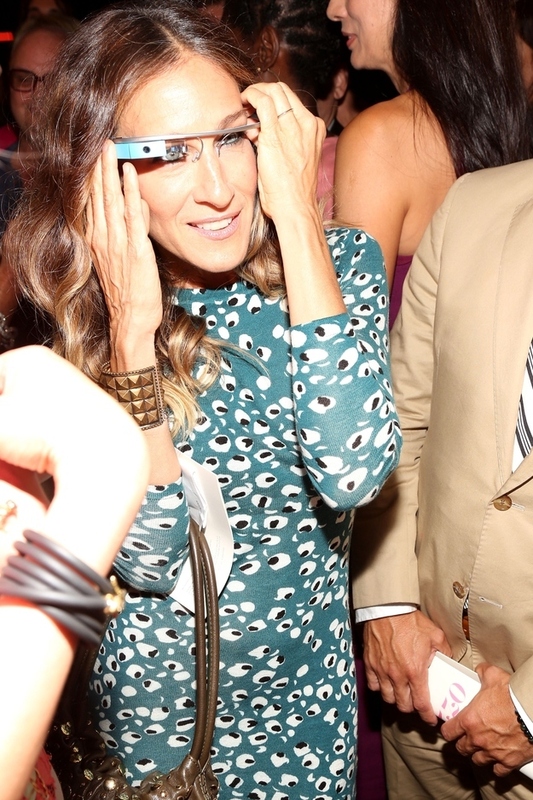 Also Sarah Jessica Parker tried them on. It’s clear that Google feels that these GooGlasses will probably receive a chilly welcome from the world at large and this is one of the outreach efforts that will encourage folks to at least give them a fair shake. I worry that these sorts of shows will turn Glass into the must-have accessory of the year and that space-age Internet glasses will replace the Bluetooth headset as the douche gear of the next decade.